- You can use USB cable to supply power to the unit (requires Y cable for drawing power from two USB sockets simultaneously (630mA). - You will need to download and install USB drivers when using USB cable for the Radio signal. - No additional drivers are needed when it is connected through Local Area Network (Ethernet). - Andrus SDR will acquire Ethernet IP address from the DHCP server in your network. - SDR radio softwares have the discovery mode for finding the Andrus SDR in the local network. How to set up network connection? - Go to Network menu in cutesdr-se and press "Find SDR". Radio sould appear. - Select the discovered radio and then press "Run" on the main screen. Each command saves the value to flash as well, so after all commands are entered, you can restart the radio and then use the cutesdr-se "Network" -> "Find SDR" command as was described for DHCP. To eliminate USB data noise you must connect USB connector to general ground. 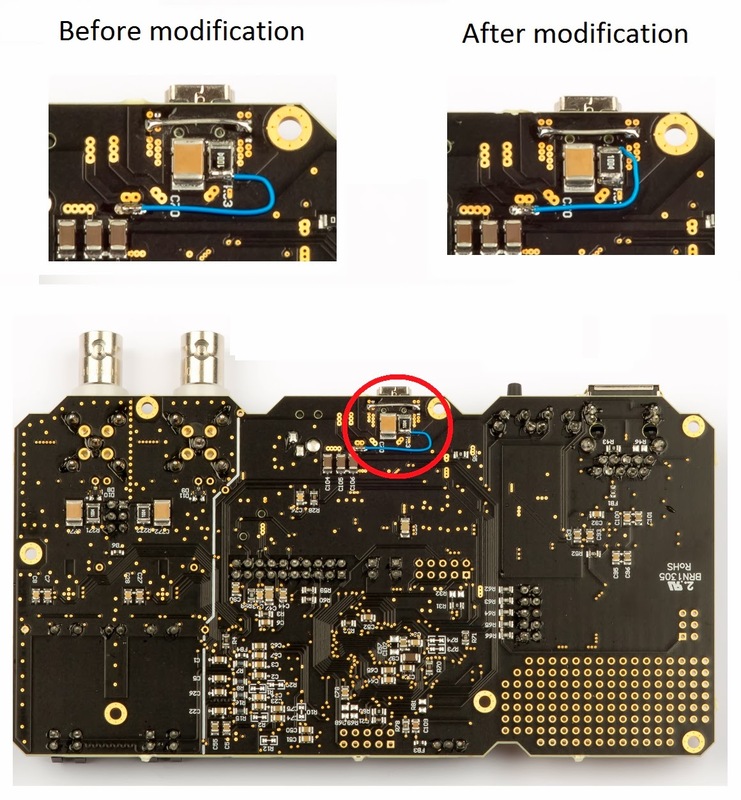 Easiest way is to open device, unscrew PCB from frame and resolder existing wire as shown on picture.